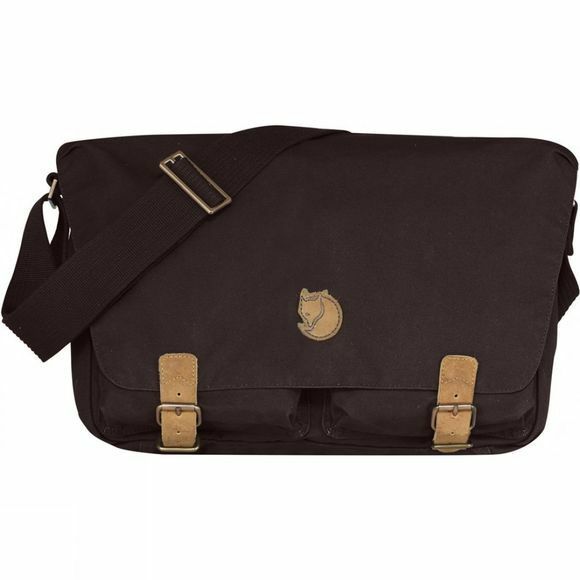 The Övik Shoulder Bag from Fjallraven is a convenient shoulder bag in durable G-1000 HeavyDuty and G-1000 Original with details in leather. Designed to have room for books, notepads and other items you need with you through the day, in everyday life or when travelling. The main compartment is zipped and has an inside safety pocket and phone pocket. There are two front pockets with flaps and buttons, and a document compartment with pen holder. The main compartment, front pockets and document compartment are all hidden under a flap that is closed with leather straps and metal buckles.